This is important to reemphasise: the natures in the parentheses should not match the berry. Having a matching berry confuses your Pokemon. This means that every non-neutral nature will have four viable berries that won’t cause confusion. None of these berries will confuse neutral natures, except everyone else will be confused instead as to why you’re using a neutral nature. One notable difference in Fiwam Berry mechanics has to do with Pokemon that have the ability Gluttony, most commonly used on Alola Muk and Snorlax. Instead of healing the Pokemon when they drop to 25% of their remaining HP, Gluttony will instead allow them to heal when they drop to 50%. Tapu Fini and Arcanine can still also make good use of the item as they’re often bulky enough to drop down to 25% HP without getting KOed, whereas on frailer Pokemon, Fiwam Berries are less reliable than the Sitrus Berry, which doesn’t require the Pokemon to take as much damage in order to heal them. For the most part, once you’ve identified which one of the five berries confuses your specific Pokemon, picking among the other four largely doesn’t matter. However, which berry you do or don’t use can unnecessarily reveal something about your Pokemon’s set. For example, if your Arcanine’s Wiki Berry activates and the Pokemon does not get confused, your opponent will know that your Arcanine is not a physical attacker, which is a very strong indication that it does not carry Extreme Speed. In addition, if your Arcanine is using Figy Berry, it indicates that it is a physical and likely does carry Extreme Speed. This is information that you do not need to reveal, as you can simply use a different Fiwam Berry without giving any indication what your Arcanine’s set is. Similarly, Snorlax is a Pokemon that can vary between having Brave and Adamant nature. Even if Wiki and Mago berries don’t confuse Brave and Adamant respectively, you still don’t want to use either of these berries on Snorlax because they give away that your Snorlax doesn’t have the other nature. This same logic can be applied to any Pokemon that varies in nature semi regularly, from the aforementioned Arcanine, Snorlax, and Muk, to Vikavolt, Araquanid, and Oranguru, among other things. These Pokemon have natures that commonly drop either attack stat or speed. Tapu Fini is one of the few Pokemon that very rarely has varying natures as it pertains to its relationship with the Fiwam Berries, as Tapu Fini almost always has an attack reducing nature. This means that this Pokemon can hold any Fiwam Berry other than Figy and not reveal anything notable about its set. As you know by now, the Mago Berry will confuse the holder if it has a speed reducing nature. For Pokemon like Arcanine and Tapu Fini that almost never have speed reducing natures, it can be a good idea to choose Mago Berry, as you can confuse Brave Araquanid that carry Bug Bite. However, on Pokemon like Adamant Muk, Snorlax, Modest Vikavolt, or Bold / Calm Oranguru, I would still advise against using Mago Berry, as I believe that revealing your Pokemon doesn’t have a speed reducing nature is a bigger disadvantage than confusing the still fairly rare Bug Bite Araquanid. Arcanine and Tapu Fini are different cases from these Pokemon because they typically don’t have a speed reducing nature, whereas those four Pokemon do. If you don’t fancy overthinking things, use Iapapa or Aguav Berry. This is because these items will only confuse the holder if they have a nature that lowers one of the defenses, and there’s almost no situation in which you would want to use a defensive item on a Pokemon that has a nature that makes them more frail. The advantage, though, to knowing which berries to use instead of defaulting to Iapapa and Aguav every time, is in the situation in which you want to use multiple Fiwam Berries on a team. This saves Iapapa and Aguav to only be used by the Pokemon that have ambiguous natures, and other Pokemon that don’t have greatly varying natures will have a suitable berry that you can identify. 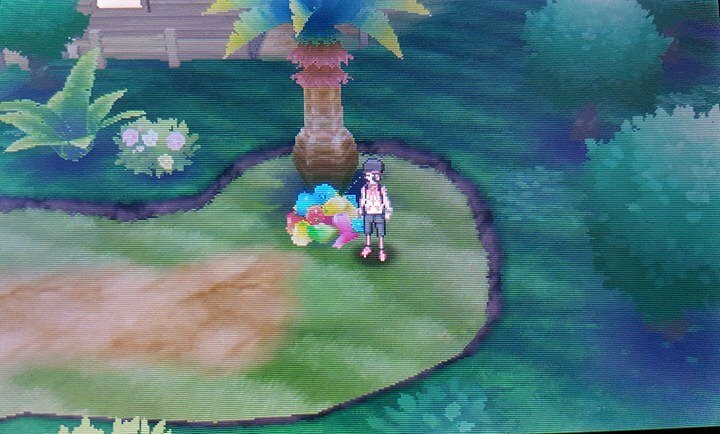 All five Fiwam Berries can be found on Route 4, south of Paniola Town.